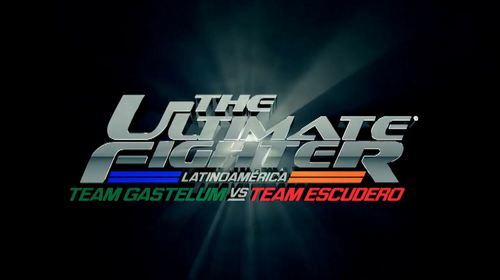 The Lightweights and Welterweights battle it out with the help of coaches Kelvin Gastelum and Efrain Escudero on the second season of The Ultimate Fighter: Latin America. TUF LATAM Ep. 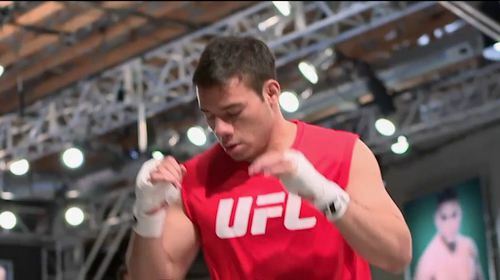 201 Future Champions Aug 25, 2015 (40:14) UFC President Dana White welcomes 16 fighters from every corner of Latin America to the UFC Training Center for the second season of the competition. The lightweight and welterweight fighters are split into two teams headed by two former Ultimate Fighter Champions, Kelvin Gastelum and Efrain Escudero. As the seeds of friendship, pranks and rivalry are sown, the first fight takes place in the battle to win a contract with the UFC. TUF LATAM Ep. 202 Shall We Bet? 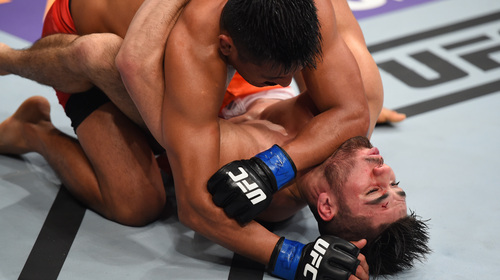 Sep 2, 2015 (38:15) Horacio Gutierrez suffers an injury and goes to extreme measures to hide it from Team Gastelum. Oliver Meza spreads mischief in the locker rooms and proposes a risky bet based on the upcoming fight results. The second preliminary fight takes place and a shocking result puts everybody on edge. TUF LATAM Ep. 203: Mexicans Face Off Sep 9, 2015 (38:15) Coach Efraín tries to boost his team’s morale by inviting beautiful and renown coach and UFC fighter Miesha Tate to train with them. Spaniard Enrique Marín surprises his coaches by revealing a deep-seated secret that may affect his performance during the competition. TUF LATAM Ep. 204 Fear Sep 16, 2015 (41:15) The teams renegotiate the terms of their prior bet and decide to double down based on the next fight. Escudero’s fighters are convinced they have this victory in the bag, so when Oliver suggests the losing team should clean the house while wearing a pair of bunny ears, they take extra steps to soil the house. Meanwhile, Coach D’Avila employs unorthodox methods to coach Spaniard Enrique Marín through his fear of fighting. The fourth preliminary fight takes place. TUF LATAM Ep. 205 GOAL! 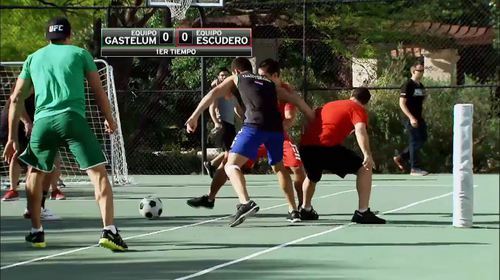 Sep 23, 2015 (41:15) The team challenges their dribbling skills in a soccer match. The losing team will be punished and will have to wash both team vans wearing nothing but a thong. Mayhem ensues. Meanwhile, two neighboring and rival nations face off in the octagon in a tense and drawn out match: the fifth preliminary fight. TUF LATAM Ep. 206 Sweet Revenge Sep 30, 2015 (41:15) Two welterweight fighters and fellow countrymen with a conflict of interest, get ready to fight on the sixth preliminary fight, to claim a spot at the semifinals. Left with a bitter taste in his mouth after being pranked, one of the fighters tries to get even with the other team but it backfires when they retaliate with another bigger prank. And later, both teams are caught by surprise when one of the most well-known and charismatic actresses of Mexico stops by the house and takes them out of their routine. TUF LATAM Ep. 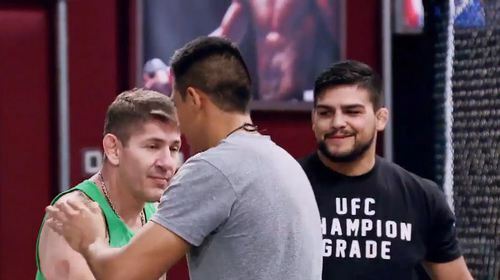 207 A Challenge to Remember Oct 7, 2015 (41:15) Christhian Soto celebrates his birthday with his team and Dana White and Mexican Television celebrity Montserrat Oliver welcome both teams to the much awaited Coaches Challenge: an event where both coaches will compete for a chance to win a hefty prize for themselves and their teams in a competition with a hilarious twist. The 7th preliminary fight takes place as lightweights from Team Escudero and Team Gastelum face off. TUF LATAM Ep. 208 For Those Watching Over Us Oct 14, 2015 (41:15) A fighter from Team Escudero shares a disturbing story of loss that has left him and his family living in uncertainty, but he draws motivation from it and gets ready for the last preliminary fight of the season against one of Team Gastelum’s most experienced fighters. Legendary Former Light heavyweight UFC champion, Chuck Liddell stops by to see the fight and meet the Latin-American fighters. And later, Dana announces the semifinal match ups and the semifinalists face off. TUF LATAM Ep. 209 Friends and Rivals Oct 21, 2015 (39:15) The first semifinal kicks off as two fighters set their friendship aside and fight to secure a spot in the welterweight finale. Team Escudero, led by jokester Oliver Meza, ambushes coach Efraín and his assistant coaches in an elaborate prank that involves putting on a play. TUF LATAM Ep. 210 Enter the Octagon Oct 28, 2015 (39:14) Two roommates and friends from Team Escudero put their friendship aside and start to distance themselves aside to get mentally ready to fight on the second semifinal fight. One fighter is supported by most of his teammates, and inflates his own ego to get himself pumped up for his fight, while the other one keeps to himself, focuses on his training and reaches out to Team Gastelum’s for support. UFC veteran and winner of the first season of the Ultimate Fighter, Diego Sanchez joins coach Efrain to share his knowledge and skills with his team. TUF LATAM Ep. 211 One Step Closer Nov 5, 2015 (37:41) It’s time for the third semifinal fight of the season, as two fighters get ready to take the last spot of the welterweight finale. Knowing that most of his team does not have faith in his fighter, Coach Efrain trains him and gives him the motivation he needs. Diego Sanchez returns this time to give Team Gastelum’s a special training session. 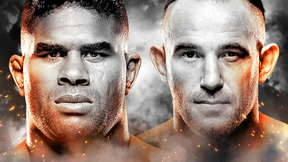 Later, two warriors battle it out in the octagon to become the last welterweight finalist. TUF LATAM Ep. 212 Two Men of Faith Nov 11, 2015 (37:15) Two men of faith and ability get ready for the last semifinal fight of the season. Former UFC lightweight champion, Ben Henderson shares his knowledge with team Escudero during training, and Team Gastelum last training session ends up in tears. Coach Efrain comes to the house to have a last supper with his team. And the last two fighters battle it out in the octagon for the last lightweight spot in the finale. Enrique Barzola vs Horacio Gutierrez UFC Fight Night Nov 21, 2015 (21:22) Enrique Barzola vs Horacio Gutierrez UFC Fight Night from November 21, 2015 in Monterrey, Mexico. 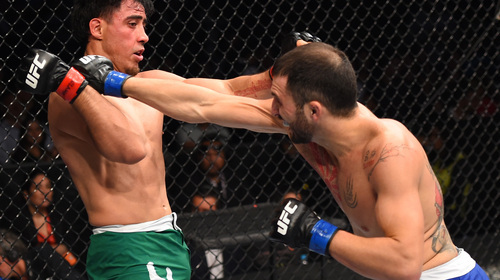 Erick Montano vs Enrique Marin UFC Fight Night Nov 21, 2015 (21:05) Erick Montano vs Enrique Marin UFC Fight Night from November 21, 2015 in Monterrey, Mexico.